I have quite the back log of games to be playing, today I chose Bram Stoker's Dracula based on the film of the same name from 1992. You play as Keanu Reeves character Jonathan Harker, not surprisingly the bland depiction of this character injects 100% more emotion and pathos into the character than cardboard cut out Reeves could ever do! The game doesn't really explain what's going on, there are titchy level introductions that are quite vague such as 'journey back to civilisation' or something that opened one level, these introductions are shown in a digital book titled 'Vampyres' that is a fun touch. Anyway from what I can gather (and going by the game, not my knowledge of the Dracula tale) Jonny Harker starts off in a pub somewhere where some bloke with a hat tells him via a dream bubble to retrieve a...tooth? Stick? something or other. So Harker leaves and battles a ten foot tall man with a whip. 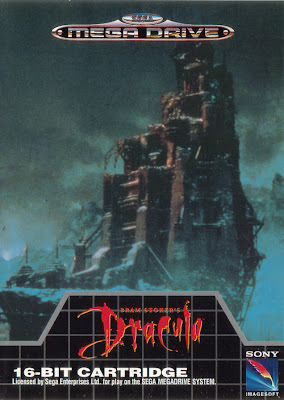 Later on he finds himself in Dracula's castle, battles a fire breathing dragon, and a ten foot tall Dracula who flings fireballs Castlevania style, and then gets chased by Dracula's brides out into the countryside. Eventually he gets home to a mansion in London...then I died by a low flying bat. Hey! You may say, you did not complete this! Well no, I didn't but I did complete it on Trainer mode which gives you the first and fourth level to play through only. Like most movie tie ins of the early 90's this is a platformer. Harker is armed with a sword and can pick up limited use guns. Levels are open ended, an arrow kinda points where you need to go. 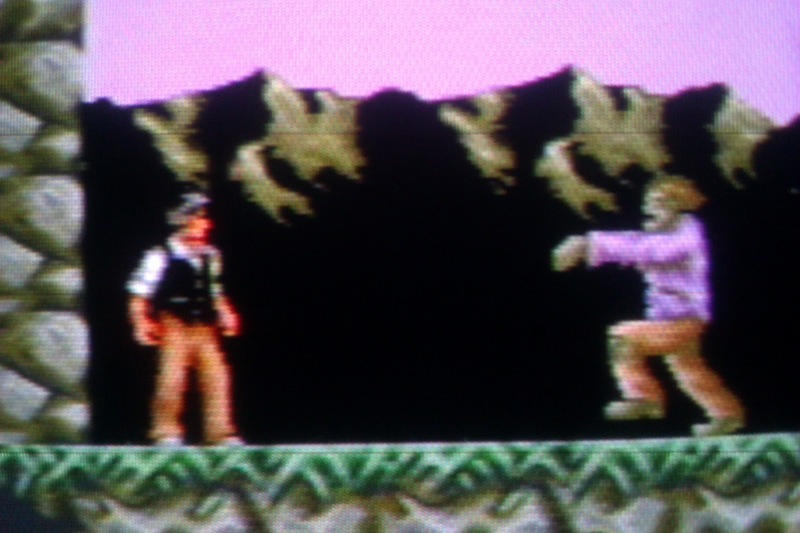 Enemies mostly consist of bats, rats, spiders, and wolves. Every now and again a human opponent will appear, later levels see the appearance of skeletons, ghosts and zombies. Six levels make up the game, each broken into two acts. The first act has you exploring an area to locate what I assume is Van Helsing who thinks an item at you, then with this thought you must then locate the exit (not an exit per se, just a hovering arrow titled 'Exit'). The next stage is a more straight forward left to right jobby that ends in a boss battle with a usually unexplained giant boss. My favourite boss was a monstrous 'Flash style character who zoomed around the screen in a blur before stopping to throw knifes at you. The bosses all explode when defeated for some reason, maybe that is explained in the film? 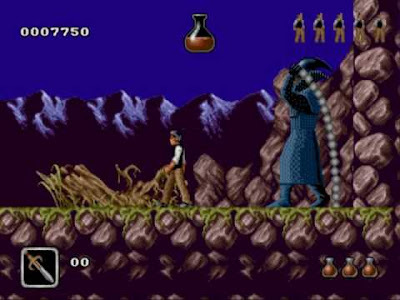 Dracula has the feel of an old Amiga game. 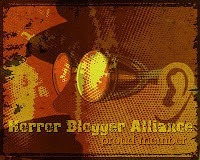 It has a nice retro feel to it and the music isn't actually that bad. Graphics wise it is ok, no animation to speak of really, a lot of the levels are grey and brown, not good looking. Hit detection is quite terrible, bats float through solid objects and you take damage if you so much as look at an enemy. Annoyingly enemies respawn if you go off screen. You character is patchy in his attacks, and enemies are patchy in when it will register your hits as affecting them. I remember at the time this game got bad reviews, playing it now it does have a nice old school feel to it, it is not terrible, but it is a bad game that could have done with more care and attention done to it. Aside from one level where you are being chased there is no variety and as a side note zombies kinda just sink into the floor when defeated which is funny. Worse than average.